Whan Harry, Heidi and Jack were small, I honestly used to worry so much about travelling with three children under the age of 5. When you are outnumbered by children, any type of travel can be daunting (even a trip to the supermarket used to fill me with fear - does that count as travel?). I have never been one to let this fear put me off though and have always been a strong advocate of travelling with your children when they are small - trust me when I say this, holidays will never be this cheap again and you need to make the most of it. 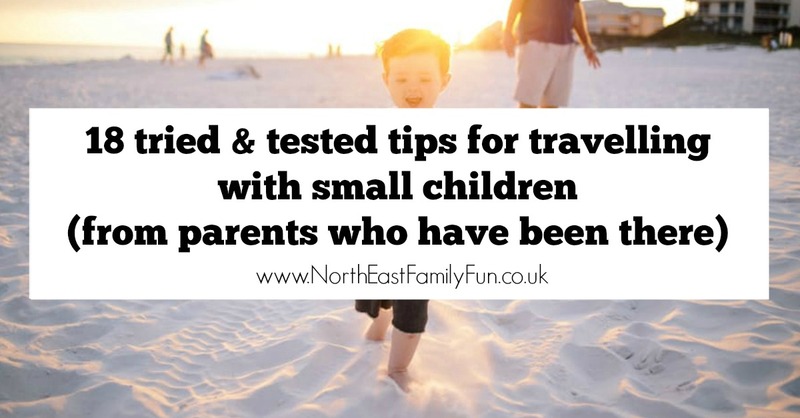 There are things you can do to make your life easier though and I have put together some top tips that have been tried and tested by parents to help you enjoy an as stress-free travel experience as possible. My number one tip would always be to thoroughly research your holiday destination before booking anywhere. In my experience, if the kids are happy, the grown-ups will be too. We always opted for self-catering villas or apartments when our three were young as this offered us the space and flexibility we needed. Specialist websites such as Tots to Travel can provide lots of advice and provide a range of accommodation choices that have been hand-picked to suit the needs of families with young children and are definitely worth a look before booking up anywhere. Let me know if you have any trips planned with your little one's this year. Some great tips here. I agree so much with the one about starting travel at an early age, so children get used to it. My son hates change but we took him to lots of places when he was young. If we hadn't, I'm sure he'd make a lot more fuss now when we travel. Instead, he loves it! Some great tips. We've done the "take the grandparents one several times"